Genesis 1:9 states, “And God said, Let the waters under the heaven be gathered together unto one place, and let the dry land appear: and it was so.” The language suggest a single continent on the early earth. Scientists have long noted that the continents seem to fit together like a puzzle. Moreover, there is some evidence that the continental plates are moving apart, motions likely left over from when the great tectonic activity of the Genesis Flood broke up the original continent. 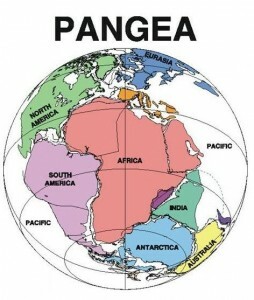 This theorized original continent is called Pangea. 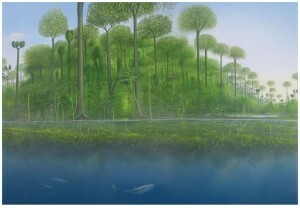 It seems that the original continent was divided into distinct geographical living areas (called biomes) with fully functioning communities of plants and animals unique to each. The great reptiles dominated vast inland lake and swamp regions, while the human population (and other larger mammals) would have occupied a separate biome at a higher elevation, well above the swamplands. There mankind established the first civilization, building cities and pursuing scientific endeavors like metallurgy (Genesis 4:22). As the destructive waters of Noah’s flood progressively rose, waves carrying sediments would have first buried the low-lying areas. 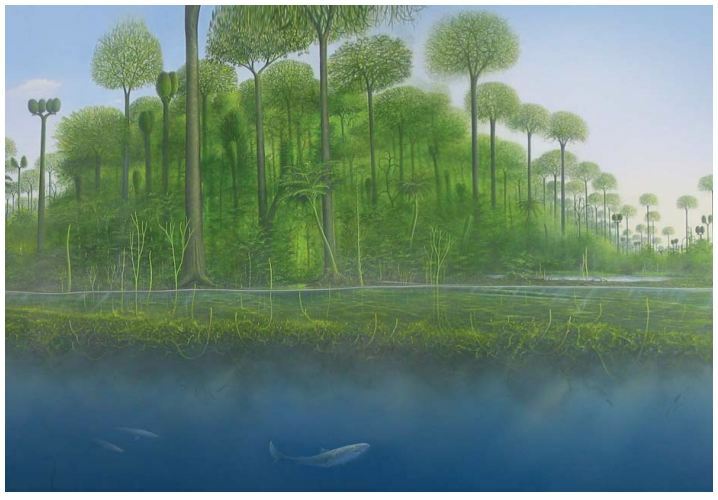 Higher waves, as well as erosion and mudslides, would have swept away and then buried the mammals living on the upper biome. 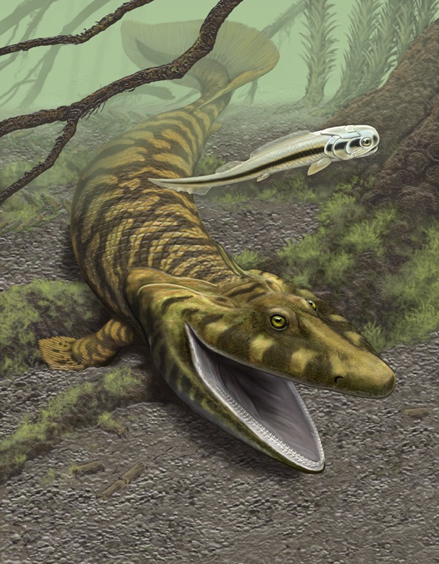 This could be the key reasons why there is a general pattern in the fossil record of dinosaurs and other reptiles being buried in a layer below the larger mammals.